Who doesn’t love Mexican Food? Especially when it’s FREE for your birthday! El Torito is credited with introducing the “margarita cocktail,” in addition to popularizing such items as tableside guacamole, the sizzling fajitas platter and the edible tostada shell. 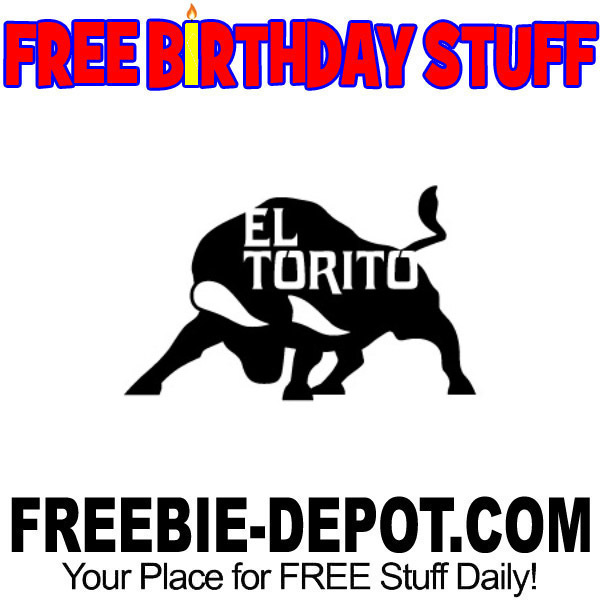 Be sure to join them on your birthday for a FREE Birthday Treat! If you sign up for their e-club, you will get a FREE Birthday Entree (up to $12.99) for your birthday! As with all birthday offers, they may vary by location. I always recommend calling ahead to verify participation and the offer. I somehow have deleted my free birthday entree for Aug. 2018. Is there somewhere I could possibly retrieve it?